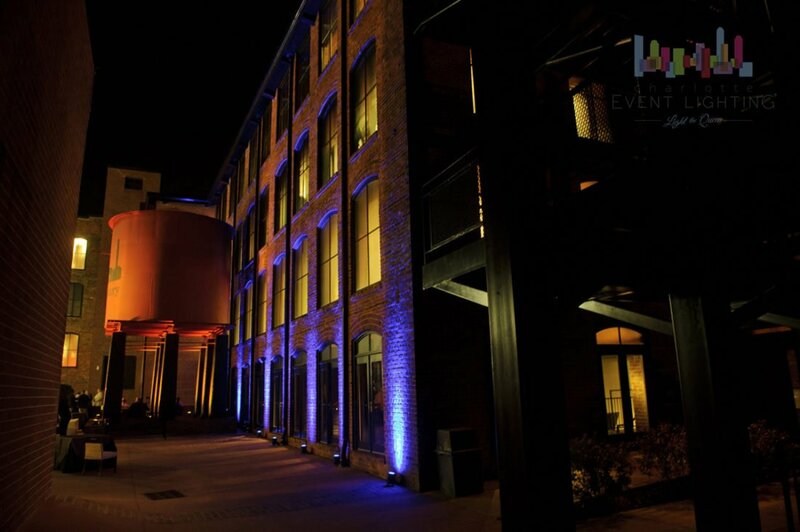 With over 10 million square feet of exhibit space and nearly 80,000 attendees, this twice a year event brings in people from all over the world to purchase world -class furniture. 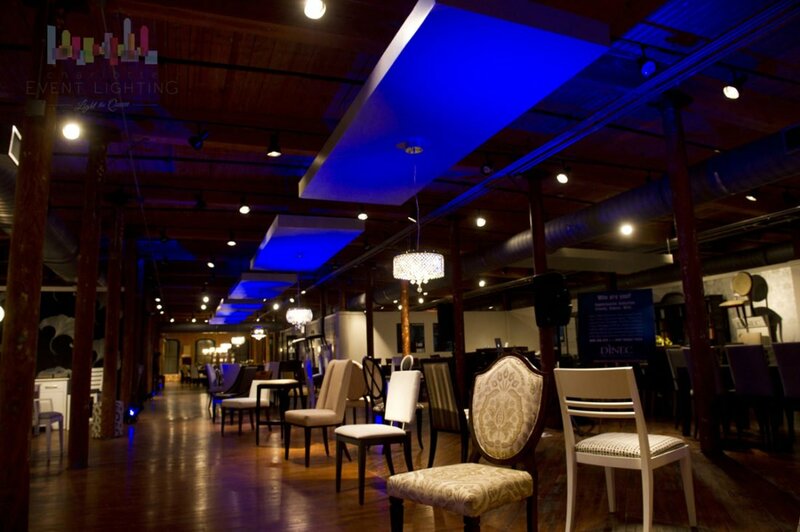 In this case, Triad Event Lighting highlighted much of the space for the Canadian Furniture Company BDM+ Furniture Inc./Dinec during their grand launch celebration. 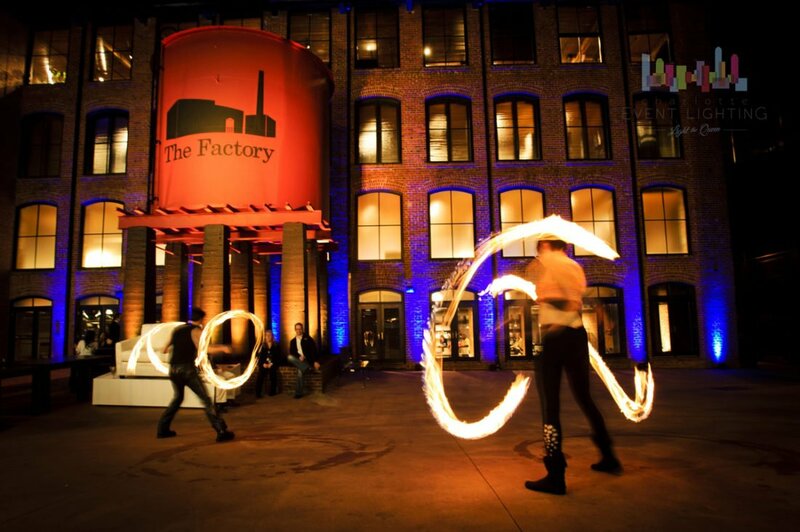 At this particular event, the client brought in acts such as fire jugglers, unicyclists, body painters, models, and break dancers to help accentuate the 4 floors (more than 60,000 square feet) in addition to the outdoor common areas. 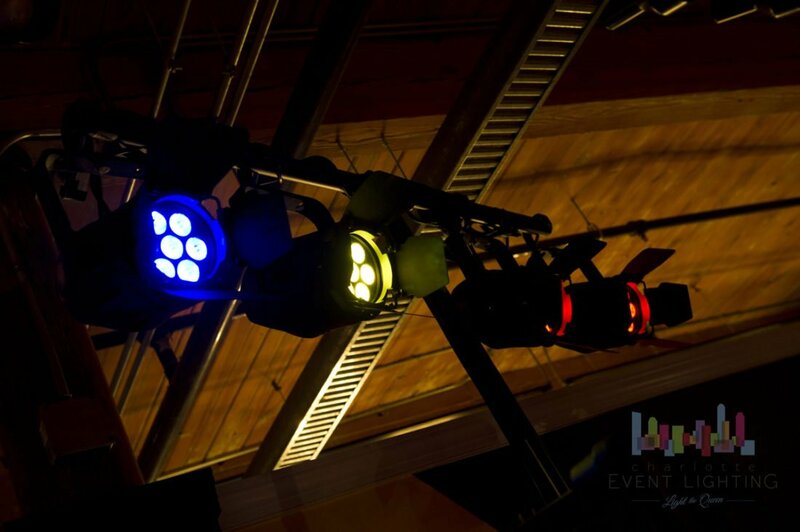 With lighting, we were able to accent various sections of the venue with a variety of color; this made a tremendous impact on the space, and left their guests wowed with amazement.